The latest rack-mount twin CD player from Numark is currently making it’s debut at the Frankfurt Musikmesse exhibition, which started yesterday and runs until Saturday 4th March. The CDN88 MP3 builds on the success of its predecessor, the CDN88, with effects, scratch emulation and now mp3 support. The LS-80 LED System is a low cost all-in-one par can system for mobile DJs and entertainers. The system features four LED par cans: one red, one green, one blue and one amber. Each par can uses 12 x 1-Watt LEDs producing bright colour washes of light, while each can is rated at an extremely long 100,000 hour life, essentially removing the need to replace lamps. The latest addition to the Pro Mobile Bookstore is a 6 disc audio CD package containing simple steps for instantly getting a continuous stream of Big Money Referrals. This special mobile DJ version of business expert James Malinchak’s ‘How to get Big Money Referrals’ is only available in the UK from Pro Mobile. Alongside club-packing, jet-setting headliners, Pioneer’s video blog site DJsounds.com also wants to expose all variety of exciting up-and-comers. Therefore Your DJsounds is the place for your clips. A place to promote your talent, comment on other people and generally get inspired. LEDJ have recently launched a new range of Stage Wash LED powered lighting units. Each high output, DMX compatible, LED Stage Wash is loaded with professional features including smooth RGB colour mixing, electronic dimming, colour strobing and 400Hz flicker-free LEDs. Chauvet is the latest brand to apply new LED technology to the classic Pinspot DJ lighting effect. The LED Pinspot is a bright light in a small package with a very distinctive design. It creates the popular Pinspot effect from a smaller unit and requires less power, no lamp changes and produces less excess heat. The latest smoke machine from ADJ – Jet Stream – is designed to put fog exactly where a DJ needs it … up! The Jet Stream projects a powerful burst of lighting effect enhancing fog directly upwards, creating a similar effect to a smoke pyrotechnic. In 2008, Numark announced a partnership with Serato to develop the flagship hardware for Serato ITCH software. Working closely together, the Numark/Serato team has created a genuinely innovative leap forward in DJ performance: NS7. After much anticipation and advanced previews at trade events including BPM and PLASA in the UK, the NS7 is now set to hit the shops this month. Pioneer continues to increase the functionality of its already mega-versatile MEP-7000 multi-entertainment player and SEP-C1 software entertainment controller announcing the arrival of a new firmware upgrade – Version 2.02. The Acme LED Thin & Light Pack is a portable all-in-one DMX LED lighting system that is ideal for mobile DJs. The system brings the advantages of LED lighting to users with limited space and budgets. Compact and easy to use, it was designed for "fast and easy" set up and tear down. Chauvet have updated their popular Mushroom™ DJ effect fixture with three high-powered LEDs to create the LED Mushroom™. This compact lighting effect provides floor-to-ceiling and wall-to-wall coverage with crisscrossing coloured beams. The red, green and blue LEDs produce nearly limitless combinations through pre-programmed shows and sound activated operation either standalone or controlled either master/slave or by DMX. Ryger have beefed up their Footlight USB DMX controller to a full 512 channels since it was reviewed in Pro Mobile. It also now has a built in scheduler for self activation should it be required at pre-set dates/times (making it ideal for 'setup & forget' installations) and for bands the software can be triggered by MIDI commands. Another new addition is sound activation through the software - although the unit must remain attached to a PC for this facility to operate. Native Instruments have recently released TRAKTOR PRO 1.1, a free software update for the latest generation of their digital DJ products. The update brings a new "Advanced Relative Mode" for TRAKTOR SCRATCH PRO with many advantages for time-code control, a new high-quality time-stretching algorithm, high-resolution MIDI support, a convenient hardware setup wizard, and many other improvements that make the new TRAKTOR generation even more powerful and convenient. David Hoffman is a veteran of the radio industry, having presented shows on around thirty different radio stations around the UK. He is also a mobile DJ and has written regularly for Pro Mobile over the last couple of years. 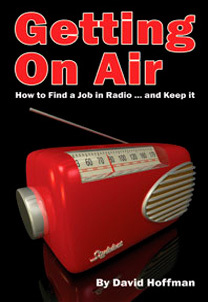 David has recently launched a new website ‘Getting On Air’, which shares its name with David’s book – available from the Pro Mobile Book Store. In conjunction with the launch David will send his 20 Essential Tips for Recording A Killer Radio Demo to everyone who joins his email list. Developed specifically for the mobile and touring DJ market, the GigRig from Litestructures is a goalpost-style trussing frame designed for simple and quick assembly. GigRig is constructed from Litestructures' established AstraLite2 modular trussing system. Made from lightweight aluminium, Astralite2 is an industry standard 2-chord truss with a width of 227mm and considerable load capacity. ProLight Concepts have recently revealed details of two new strobe lighting effects that are to be added to the portfolio of their Equinox brand. Both of the new strobes shares the same distinctive casing design and offer a variable flash rate of between 1 and 18 flashes per second. American DJ has taken a DJ/club/display lighting standard - the white pinspot - and propelled it into the 21st century with LED lighting technology. The company's new, compact Pinspot LED is powered by a bright, clear 3W LED that has the brightness and output of a 30W halogen bulb, but uses considerably less energy and generates virtually no heat. Plus, the Pinspot LED's 50,000-hour lamp nearly eliminates the need for replacement bulbs. M-Audio have recently announced that the Torq Xponent Gig Bag is now available online and in European stores. Designed with working DJs in mind, the Gig Bag is ideal for transporting M-Audio’s flagship Torq Xponent DJ controller together with a host of related items. Wisbech based flightcase manufacturer 5 Star has again provided a case solution for leading UK DJ equipment specialist, Pioneer. Following the huge success of the Pro-420FLT and Pro-440FLT mini consoles, Pioneer required a custom designed case to house their latest professional DJ system, the MEP-7000 multi entertainment player and controller, which also includes a 19” mixer such as the DJM-3000. Friday 13th February proved to be a memorable date for Solutions Group (UK) Plc for all the right reasons as it opened the doors to its brand new product demonstration auditorium - “The Solution” - to a packed room as members of the press and representatives from the Company’s partner suppliers gathered at the Group’s Northampton headquarters to witness the launch. ACME have recently expanded their range of mobile DJ focused and LED powered effects projectors with the addition of the IncredibLED. An arrangement of seven individually angled lenses project a total of 84 beams of light, each powered by a single 5mm LED light-source. Each lens has an independently controllable array of LEDs, comprising three each of red, green, blue and white LEDs. The arrangement of the IncredibLED's lenses means that it has a very wide, but also narrow, projection angle that sets it apart from the other units in the range. The all new Kinta™ X provides a derby effect with 60 beams of brilliant light. By upgrading to LED illumination, the Kinta™ X is smaller and lighter but more powerful than its halogen-powered predecessor. CHAUVET® kept all the features to which DJs have become accustomed – continuous rotation or back and forth motor control for full room coverage and built-in sound activated programs via master/slave or DMX controller. Allen & Heath has recently unveiled the Xone:22, a two channel analogue DJ mixer offering high quality audio and a professional feature set at an entry level price. The smallest and most affordable Xone mixer to date, the Xone:22 is equipped with Allen & Heath’s characteristic sound and build quality, and professional grade features that would normally be found in the booth of a top-rated club.